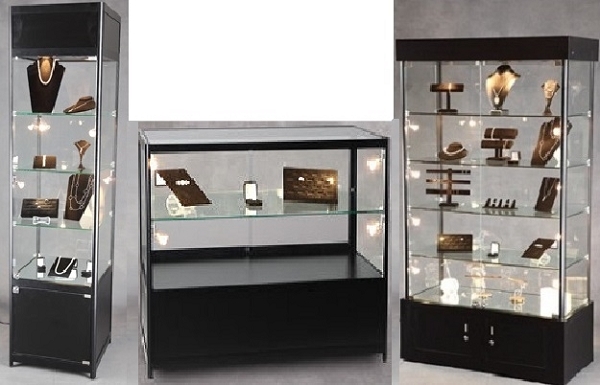 Glass Display Cases bring an extra level of security and sophistication into your retail establishment. 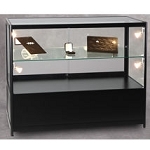 Highlight merchandise in lighted cabinets like jewelry, electronics, collectibles, memorabilia plus more. 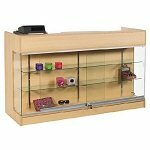 Maple Half Vision Display - 48"
Maple Half Vision Display - 72"
Black Half Vision Display - 48"
White Half Vision Display - 48"
White Half Vision Showcase - 72"
Black Half Vision Showcase - 72"
Ledgetop Counter With Showcase - 48"
Maple Ledgetop Counter With Showcase - 48"
Illustrate autographed one-of-a-kind collectable books or important documents like diploma's and more. 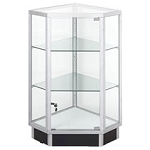 No need to worry about security with our Full Vision enclosure. 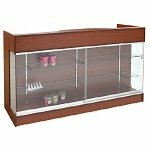 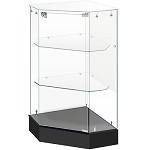 All Store Displays brings you a great selection of cabinets for showcasing school trophies and other outstanding achievements. 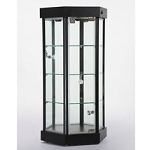 Corner appendages in the lobby of your office will give your accolades the attention they deserve while keeping them clean and safe. 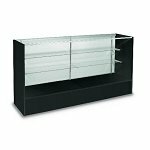 Tower racks are easy to organize, especially with books and boxes, and give you peace of mind with the modern decor your store needs. 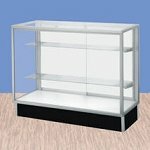 Check out what we have to offer below! 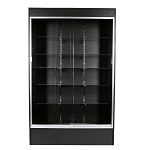 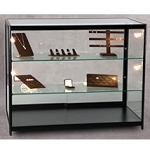 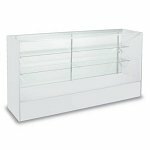 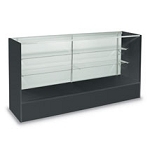 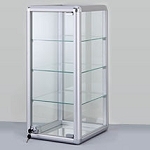 See-through glass cabinets, whether you have full view enclosures, corner display stands these fixtures provide you with various showcasing options. 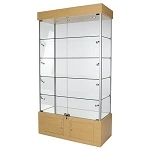 Spruce up your home, office or retail store with one of our reflector store fixtures and display jewelry among other great potential sale increasing merchandise. 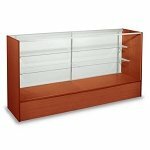 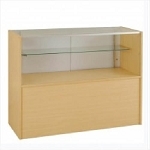 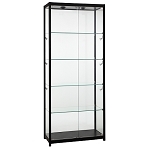 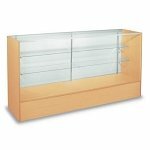 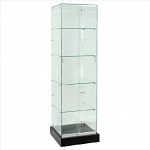 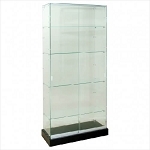 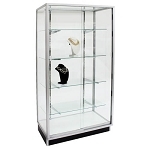 Choose from our extensive selection of stylish display cabinets that best suits your exhibiting criteria. 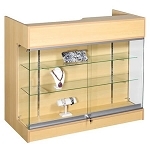 Establish the desired attention your displayed merchandise deserves from your devoted customers. 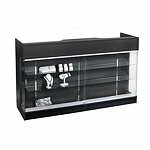 Once your customers notice the exquisite products displayed in these retail cases the hard part will be keeping your shelves full. 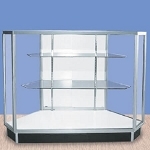 Broaden your search for store equipment. 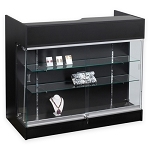 Check it out and see what we have to offer today!